Multiwall polycarbonate is a high quality, versatile glazing product that can be used as an alternative to glass in many applications. It comes in the form of hollow lightweight flat sheets of various thickness, size, structure and tint so you are sure to find something that suits your needs. 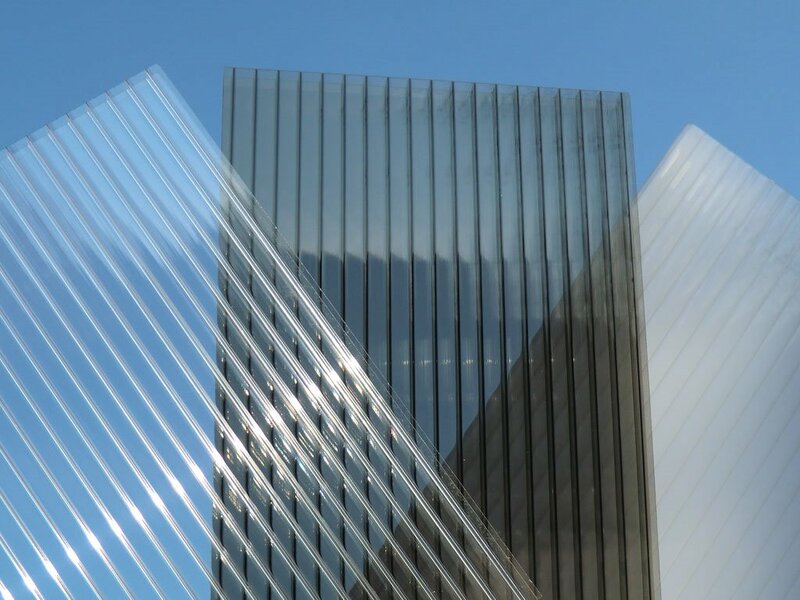 We can provide you with multiwall polycarbonate sheets with the following thickness: 6mm, 10mm, 16mm, 25mm, 32mm and 35mm. These are available in clear, opal or bronze tints, in a range of widths and lengths. They have a coating to both surfaces that prevents the transmission of UV in natural sunlight. Also offered is HeatGuard and a Bronze/Opal variety. Tinted polycarbonate glazing can help to reduce solar heat gain in south or west facing roofs. We do not advise using less than 10mm thickness on any roofing application. Installing sheet that is 25mm thick (or more) on a roof can help to cut down on noise caused during heavy rain and hail storms. Should you want to exceed these glazing centres it is recommended that you install intermediate rafters, purlins or noggins and fix the sheet on to these with the use of polycarbonate fixing buttons. However, please note that this necessitates drilling holes in the sheet with the subsequent risk of future water ingress. Wherever possible we would advise installing to the sheet manufacturers' recommended glazing centres as indicated above. If you are building a structure in a very windy part of the country this is especially important. Please note: Our polycarbonate is subject to a 4 day lead time, unless you intend to collect in which case the lead time is 24 hours for all orders placed before 2pm. When combining orders for multiwall polycarbonate glazing with bars/other fixing accessories they may be delivered by more than one carrier and on different days. This is because we source our merchandise from different suppliers in order to offer a wide range of quality products. Multiwall sheet longer than 6m may be subject to longer lead times.